Released in 1963, the DB5 was a dedicated grand tourer, but did not have the power and performance of its rivals (most notably the Jaguar E-Type). Yet it was respected and beloved by its owners. Available as both a hard top and soft top, it had a 282hp engine that could propel it at up to 145 mph. Most notably, it followed the Italian “superleggera” construction technique, making much of the exterior part of the bodywork. This saved weight and enabled the vehicle to have better acceleration and handling than it would otherwise have. 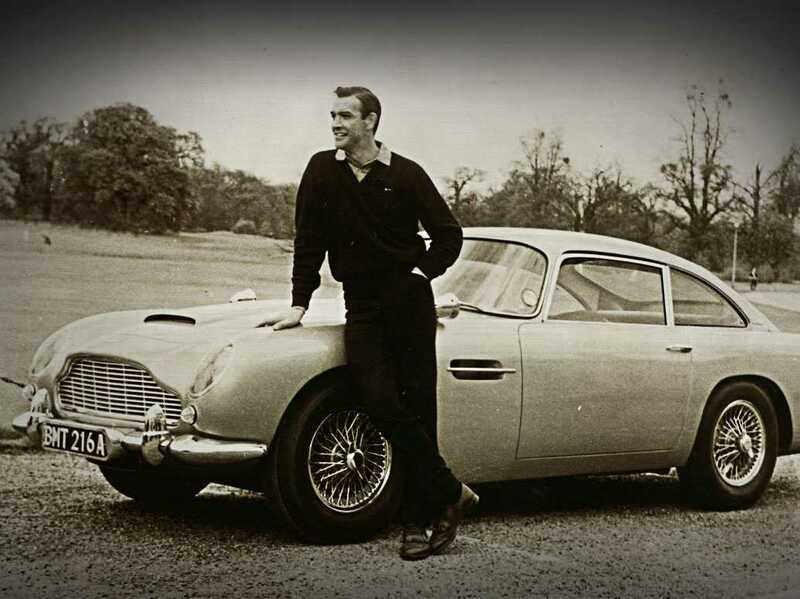 As such, the DB5 was prized by Grand Touring racers, and is still used in “Classic” races, where it competes with contemporaries such as the Austin-Healy 3000 and the Mini Cooper S.
What truly propelled the DB5 to fame was its appearance in “Goldfinger.” James had driven a DB Mark III in the book, but Aston was eager to promote its new DB5, and agreed to provide specially modified ones for the filmmakers. The DB5 prototype was lent to United Artists for the shoots, and several specially modified DB5s were provided for stunts. Most notably, one was equipped with the famous “ejection seat,” which enabled Bond to eject an unwanted passenger. When “Goldfinger” was re-made in 1995, Aston provided additional DB5s, and the car has appeared in cameos in “Tomorrow Never Dies,” “The World is Not Enough,” and “Casino Royale.” It is thus considered the “definitive” Bond car by fans. Commensurate with this, Corgi released their most popular selling toy car, the “James Bond DB5.” Capable of displaying oil sprayers, tire-shredding hubcaps and a functioning ejection seat, this toy was the company’s biggest financial success. As for the real Bond DB5, it was sold at auction for $2.6 million pounds – making it one of the most expensive pieces of Bond memorabilia. 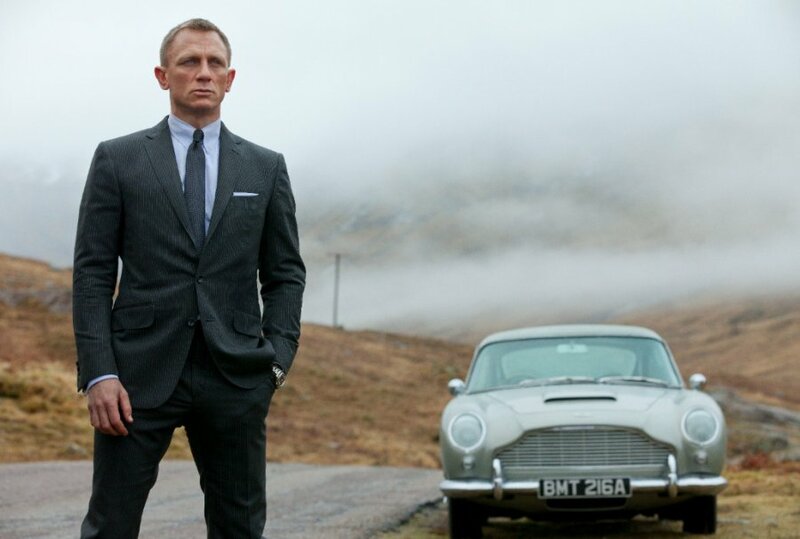 The car used in “Skyfall” is a callback to the original “Goldfinger” model. Specially modified with 1960s-era technology, it has gadgets (including the ejection seat) which enable Bond to outwit and outrun criminals. As real DB5s are too rare and too expensive, all the stunts in “Skyfall” were done with kit-cars based on the Mazda MX-5 – a modern Roadster that was inspired by classic roadsters like the DB5. However, all interior shots were conducted using an authentic DB5 which was leased for the film and then returned to its owner.